WE ARE THE BEE PEOPLE! Missouri Honey is sold in the St. Louis area at Dierbergs Markets, Wholefoods Market, and Shop-n-Save stores, in St. Charles at the Midtowne Market and Frontier IGA, and at the Market Basket in Edwardsville. 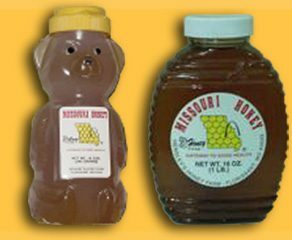 Or buy Missouri Honey in our Online Store. 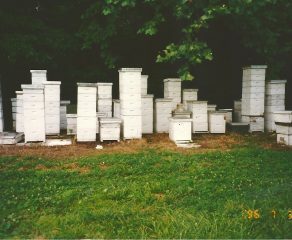 Missouri Honey is proud to offer only the finest honey and other pure natural products of the beehive! 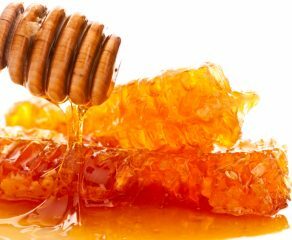 Honey is mankind’s most ancient sweetener. Cave paintings thought to be at least 15,000 years old depict the raiding of bee hives for honey, complete with clouds of angry, stinging bees. To some, honey was the nectar of the gods. To some it was medicine, and to some it was food. Today it is the healthiest, most natural sweetener you can use. 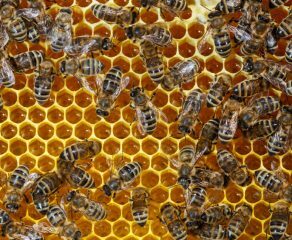 Using local honey and other local bee products is also a natural remedy for allergies. There are so many fantastic things to love about honey. Please try some of our products and find out for yourself! Do you have a bee problem? Need to get rid of some pesky stinging insects on your property? We can help! Bees-Bee-Gone Pest Control offers a specialized service to exterminate and remove all stinging insects. We have over 25 years of experience. Contact us today if you need help getting rid of stinging insects.